Hotel advertising is cost-effective as compare to other form of advertising options. Restaurant digital signage is quickly becoming a standard feature in fast casual restaurants, bars and fine dining. Digital signs in the restaurant improve customer communications and creates exciting atmosphere. Brad activation in hotels deliver eye-catching graphics so you can engage your customers the moment they walk through the door. Hotel advertising through digital signage solution is available in a wide variety of sizes and formats for use as digital menu boards, advertising, promotions, ticketing, and box office advertising. Branding in hotel made it easy for you to deliver fresh, eye-catching content with this efficient and effective tool. Digital signage in hotel communicate engaging content to customers including combined information, advertising and entertainment elements. Today, many restaurants, sports bars, clubs, mall food courts and other culinary venues display their fare on back-lit ads, posters, window images, wall-mounted screens. It give you more flexibility and advertising opportunity. The digital signage phenomenon can be found in an assortment of industries, from retail and malls to corporations and universities. Advertisements in hotel improve branding, Reduce perceived wait time, ease day parting. Digital signage branding in hotel advertising, alert customers to new products and create sales lift at the point of purchase through suggestive selling. Nowadays, Restaurateurs are embracing the idea of enhancing their customer`s dining experience through dynamic digital signage. Hotel advertisement includes display vibrant, dynamic menus and daily specials. Advertising in hotels improve branding. Digital signage for hotel advertising, save money by eliminating printing and design costs. 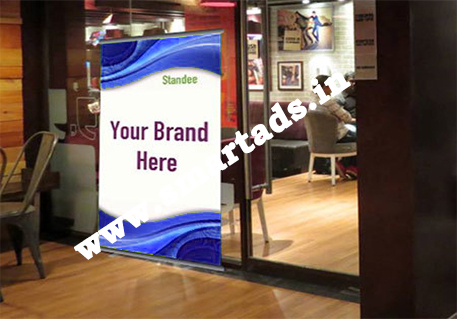 Display signage advertising is cost-effective. It also provide entertainment to hotel customers as they await for service. There is no industry with more potential to benefit from digital signage more than foodservice. To take advantage of this, numerous advertisers use this strategy and implemented restaurant digital signage to enhance their branding efforts and increase efficiency. It is designed for permanent outdoor use, the displays are environmentally sealed protecting them from water, dirt, dust, insects and other elements. Digital signage receive, Ensure exceptional visibility in both daytime and nighttime conditions. 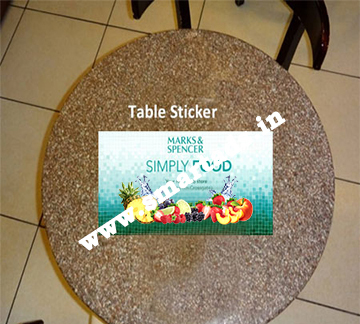 Branding in hotel, decrease ongoing printing costs and enhance the branding and marketing of your restaurant. Advertisement in Offices in Mumbai. Advertisement in Offices in Delhi. Advertisement in Offices in Kolkata. Advertisement in Offices in Bangalore. Advertisement in Offices in Ahemdabad. Advertisement in Offices in Surat. Advertisement in Offices in Pune. Advertisement for Hotel in Mumbai. Advertisement for Hotel in Delhi. Advertisement for Hotel in Kolkata. Advertisement for Hotel in Bangalore. Advertisement for Hotel in Ahemdabad. Advertisement for Hotel in Surat. Advertisement for Hotel in Pune.